This is part 3 of Haruna’s Story. The story starts in part 1. Haruna cannot believe it. A famous Hollywood actress wants Haruna to be her makeup artist. 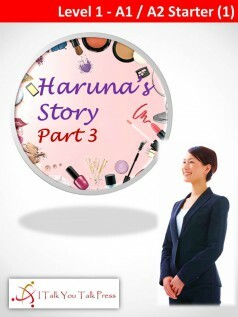 Haruna’s cosmetics and her store become famous in the USA and her business becomes a success. But what about Haruna’s personal life? Haruna has a friend called David. Will Haruna and David find happiness?